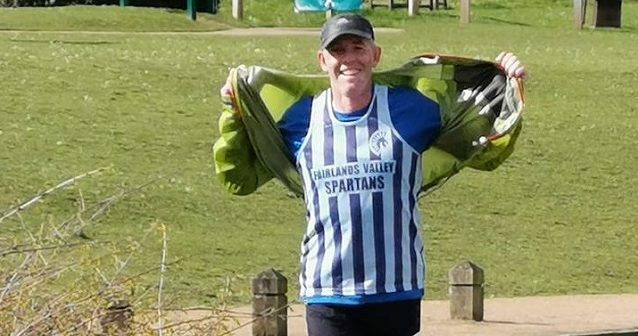 Last week Spartan JOHN NELMS took on a challenge to run seven full marathons in seven days. 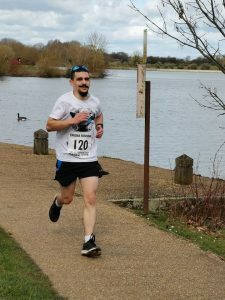 The week long event is organised by Enigma running and comprises of a 26.2 mile course each day, looping around one of three lakes in Milton Keynes. John completed all seven days with his finishing times between 4 hours 10 and 4 hours 27 over the week. In what was John’s last event of the week long series ADRIAN BUSOLINI won Enigma’s “Buff Week at the Knees” 17 lap marathon round the Milton Keynes lakes in a new personal best (PB) of 3 hours 18 minutes. STEVE GREEN finished in 3:53:32 supporting John Nelms on some laps. 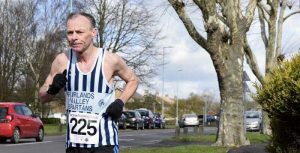 Just six weeks from the London Marathon and Spartans were running in twenty mile races in Milton Keynes, Nottinghamshire and Oundle. KAREN BROOM ran the Oundle 20 on Sunday. She said it was on a scenic undulating course around country lanes around the Northamptonshire villages of Fotheringhay, Nassington, Yarwell and King’s Cliffe. Fourteen Spartans ran twenty at Milton Keynes. JAMES KAY was quickest with 2 hours 29 minutes 10 seconds with TIM SABAN also under two and a half hours with 2:29:19. James Kay said, “It was my first 20 mile race and longest run to date, so I am pleased with the chip time of 2:29:10 and 7:28 min/mile pace. The last few miles were tough running into the wind at times and up a large hill, but hopefully this bodes well for London at the end of April. This was also RICHARD COWLISHAW’s longest run so far. He finished in 2:42:24. It was KAREN PALMER’s first “20.” She came in with 3:19:46 and ANNE LOVATT was over the line in 3:29:57. (All fourteen MK20 times can be found near the end of this release). YUKO GORDON was a lone Spartan in the Notts 20, which was their inaugural race. The start and finish was at the beautiful Holme Pierrepont National Water Sports Centre. The course was picturesque and interesting. Apart from the chilly cold wind and water puddles along the off road paths, the rest of race was perfectly organised. The whole route was closed to traffic. At 68 she won the women’s 55 plus contest in 2:37:10. Yuko was 16th out of 388 women and 111th out of 752 overall. There were more women than men in this event. Less hills helped her to be 8 minutes 30 seconds faster than at Hillingdon last week. There was also Spartan Half Marathon action at five 13.1 mile races – Welwyn, Reading, Brentwood, Milton Keynes and Hampton Court. 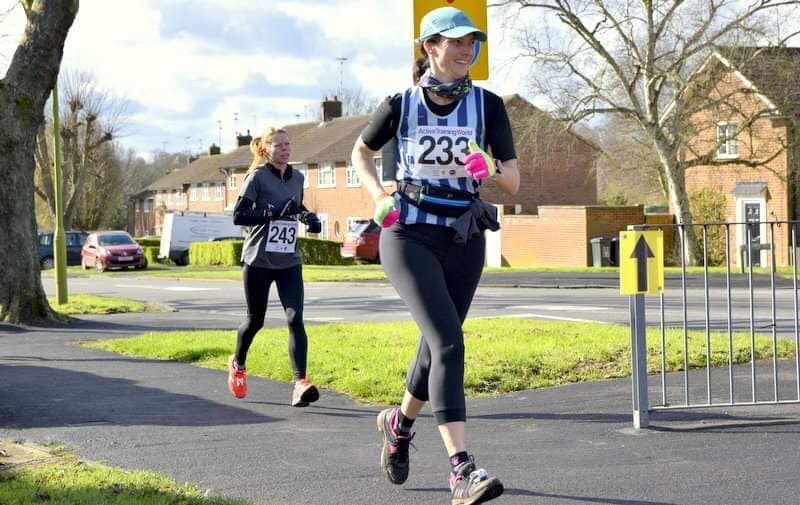 ISABEL GREEN ran the Welwyn Half Marathon Sunday morning in 01:39:22, a new PB (personal best) 15th Lady. Next in came DANNY SUTTON-FISHER in a new personal best of 1:40:16, a 2:19 improvement. MARK GOODWIN and JIM BROWN were first and second in the men 60 plus competition. Mark came in with 1:44:56. Jim had another hard day in the half marathon office. After cutting this year’s time by seven seconds at Berkhamsted two weeks ago he managed to get past another “Vet 60” in the second half of the race scrape off another nine seconds on Sunday. His aim was to maintain a marathon training average of 8 minutes 30 seconds per mile which he did by 19 seconds with 1:51:02 despite sliding on liquid mud on two occasions. NEIL ROBINSON came in with 1:52:22; ROWENA RUTLEDGE with 2:24:00 and HAYLEY PEACH came in with 2:57:14. (Times for all Spartans at the Welwyn Half can be found near the end of this release). After last year’s cancellation due to snow, just three hours before the start, this year’s Reading Half marathon was run in glorious sunshine. It was a well organised event, and despite there being over 13000 runners, queues were pretty short and the race went smoothly. Two Spartans ran the race, Stuart Haycroft was 264th, just popping under 85 minutes with a time of 1:24:54, and Michael Wenn (1343) who finished in 1:42:08. Stuart said that this race was billed as a flat and fast race, and he was very surprised to find a number of hills and very twisty bits which sapped his energy, but was still very pleased with the result. PAUL HEWETT ran 1:23:03 at the Brentwood Half Marathon on a pretty tough course. 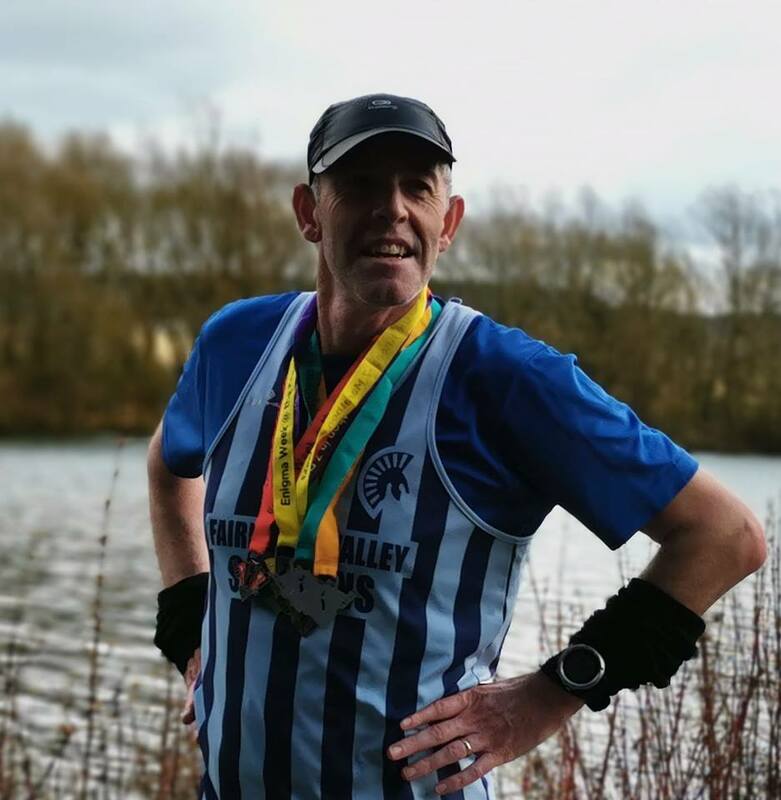 He said, “This new personal best sets me up nicely for the Manchester Marathon in three weeks.” Paul was 28th overall out of the 2,349 finishers. An undulating and windy Brentwood Half Marathon was completed by Spartan DAN HUKIN in a 1:25:42. He was 59th overall and ninth in his age group. REECE McCULLAGH cut his PB by six minutes to 1:37:44. LEANNE ANGELL came in with 2:09:50; CHARLOTTE KEARNEY with 2:13:28 and DAVID ACKERY with 2:18:04. The Spartan male champion for 2018, GRANT RAMSAY, ran the Milton Keynes Half Marathon in 1 hour 25 minutes 10 seconds. He was joined in the race by WENDY THARANI sub two in 1:59:38 and TAHER THARANI 2:32:42. The fastest from Fairlands at the Hampton Court Palace Half Marathon was KAREN ELLIS in 1:52:59. She was 875th out of the 3,450 runners in this large event which finished in the palace. JENNY GARRETT beat two hours with 1.54.18. CLAIRE EMMERSON and JULIE SHADBOLT ran together and finished in 2:02:28 and 2:02:29. JONATHAN JONES’ time was 2:16:08. KELLY EVANS ran Wednesday evening’s “Chase the Moon 10K” at the Olympic Park. Her 49 minutes 30 seconds was a PB and the first time she’s beaten 50 minutes. THOMAS SAUKA did the Ashridge Boundary Run for the first time, it was very muddy and windy tough conditions but he likes this sort of thing so that didn’t deter him. Tom finished 109 out of 381 starters in a time of 2:31:29. After two days of rain, the sun came out for the Cyprus Marathon. The marathon was a point to point affair, starting at Aphrodite’s birthplace, and finishing beside Paphos Castle next to Paphos harbour. Strong winds didn’t hold back the 26 Fairland’s Valley Spartans’ who attended Parkrun events this weekend. STEVEN DOBNER completed his 60th Parkrun in a PB time of 23 mins and 35 secs on the Stevenage course, where he was joined by CHRIS HOLLAND completing his 80th even in 24 mins and 57 secs. At the same event, RICHARD SPRINGALL was 4th overall in a time of 19 mins and 21secs and DANNY SCANLON and DEAN CARPENTER finished 13th and 17th, respectively, in times of 21 mins and 05 secs and 21 mins and 30 secs. First time visits outside of Stevenage saw JOHN ROXBOROUGH finish the Pocket Course in 22 mins and 48 secs, PAUL MAGUIRE complete the LETCHWORTH run in 23 mins and 56 secs, KELLY MCHALE run the Ellenbrook Fields course in 26 mins and 47 secs, and DARRYL STEVENS achieve 34 mins and 02 secs at Hilly Fields. Fairlands Valley Spartans are into week eleven of their marathon training plan. Are you running a Spring marathon? Whether you want to get round and enjoy; are a first timer; want a personal best or expect to go “Sub Three” the Spartans are the local club for you, there are group training opportunities five days a week. Have a look at www.fvspartans.org.uk or the club’s Facebook page. 187 Jim Brown Male M60 1:51:02 2nd M60. YB by 9 seconds.